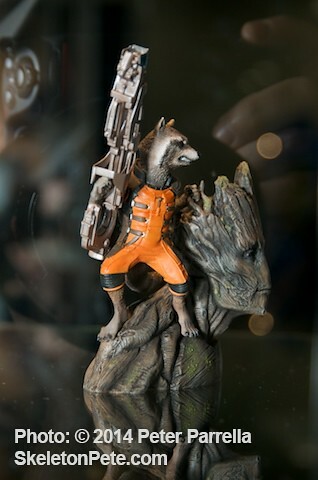 Marvel Studio’s Guardians of the Galaxy trailer premiered on February 18th, which seems to have lifted the embargo on companies at The 111th Annual American International Toy Fair in New York City showing advances of their film related product. 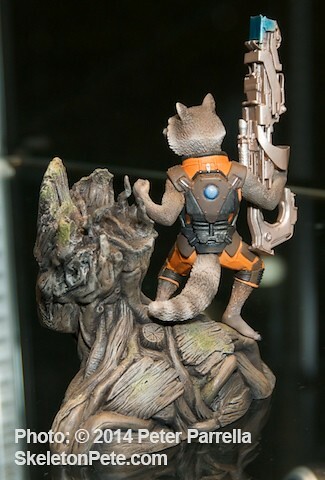 So it was a nice surprise to return to the Kotobukiya company’s booth on the final day at NY Toy Fair to see them previewing this wonderful Rocket Raccoon and Groot figurine prototype. 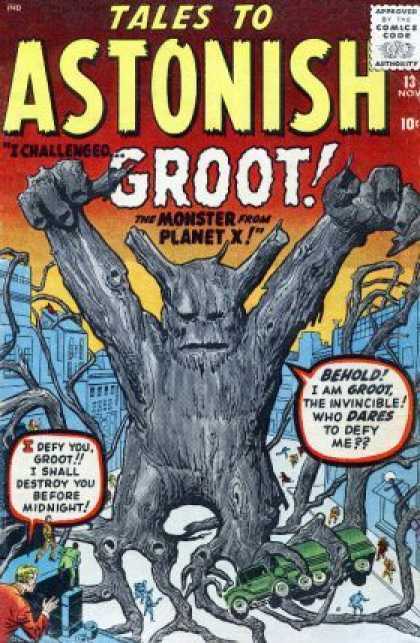 Guardian Groot in his early Marvel Comics Days. 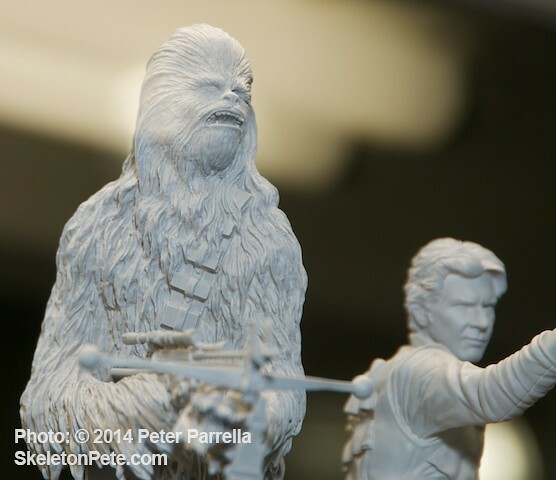 Kotobukiya also displayed the unpainted prototype for their Han Solo and Chewbaca statue as part of their ArtFX Star Wars line. 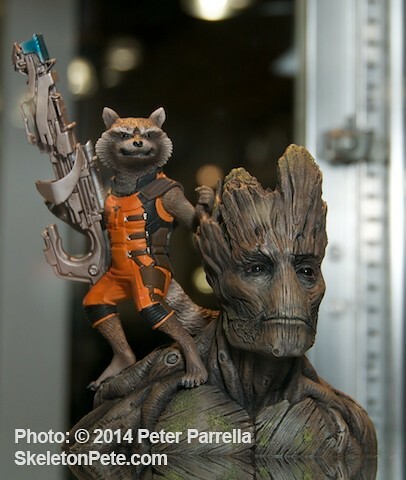 This representation of the iconic partners is slated for November 2014 release. 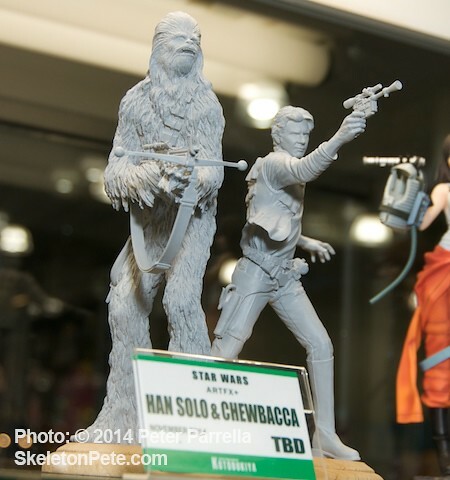 Kotobukiya’s Han Solo and Chewbacca ArtFX statue @ New York Toy Fair 2014. 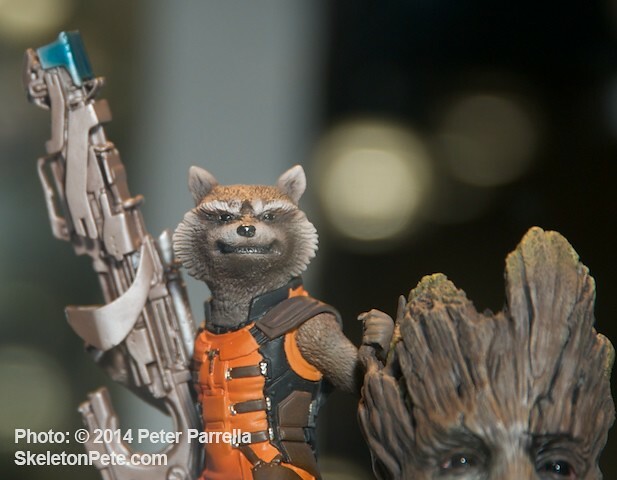 I’ll be posting many more photos of Kotobukiya’s beautiful product line in the coming weeks. 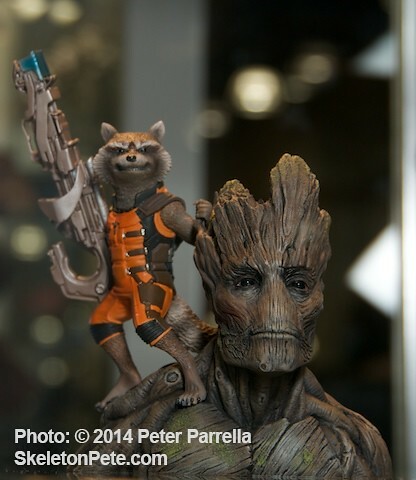 The company’s roots in the international Toy Industry reach back to its first retail store in Japan in 1947. 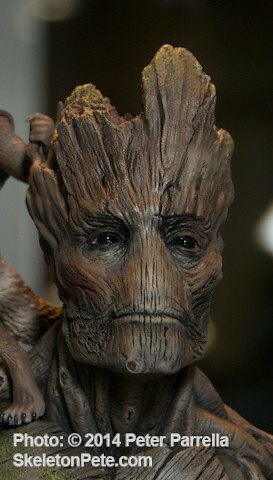 They moved into manufacturing original model kits in 1983 and produced their first licensed kit, King Godzilla, in 1985. 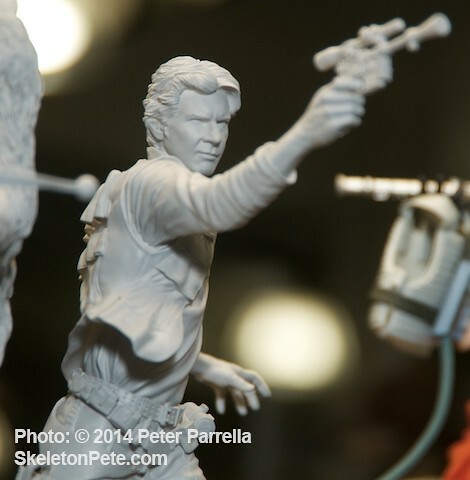 Since then the company has expanded to include collector quality figures for Star Wars, Marvel and DC comics, as well as many anime and game themed kits and statues.